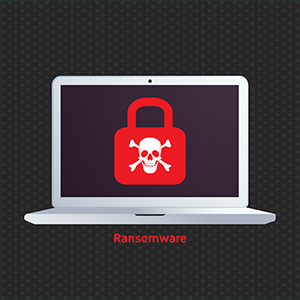 Ransomware can cause a lot of damage and inconvenience to you when they infect your files. You risk losing your valuable files and even your computer forever. Fortunately, Comodo Advanced Endpoint Protection is here to protect you against ransomware. Have you ever wondered what it would be like when you have the best ransomware antivirus installed on your computer? Imagine your computer being ransomware free at all time. How would you feel when you never have to worry about your files and personal information getting stolen because you have the best ransomware antivirus? Have you ever been to a huge library with a complete collection of books? That’s what Valkyrie is. What we have learned about fileless malware is that they can prevent your operating system from booting up normally. They can intrude the computer memory and registry that may result in a blue screen error. Fortunately, Comodo Advanced Endpoint Protection has HIPS that other ransomware antivirus don’t. Cloud Based Antivirus eliminates the risk of hackers’ gaining control on your computer and files. Firewall is created so that you have another line of defense that protects not just the computers but also the network. VirusScope doesn’t miss a single ransomware. You’re assured that there’s no ransomware hidden on your computer. With Website Filtering, you’re safe from malicious websites that generate fake installers and updates. Behavioral Monitoring Technique identifies ransomware without a unique signature. It constantly monitors how an unknown file behaves on your computer and instantly quarantines it when it displays unwanted behavior. Signature-Based Monitoring Technique uses a list of codes to identify ransomware quickly. It easily identifies malware by its unique signature because ransomware contains a signature that identifies them. Default Deny is the new feature of Comodo Advanced Endpoint Protection. Traditional ransomware antivirus doesn’t have this. They only have Default Allow. Imagine your ransomware antivirus just allowing any unknown file to run on your computer? It may result in malware infection. With Default Deny, any unknown file is prevented from running on the computer unless it has been carefully analyzed. Comodo Advanced Endpoint Security already contains a list of harmful files to quickly prevent them from entering the computer. Any software that is found in the list is automatically blocked. Comodo also has a complete list of trusted files from different publishers. It’s constantly updated. A new file is added to or deleted from the list. Remote Monitoring and Management makes the ransomware antivirus installation and configuration easier so that you avoid the hassle of installing one by one. You can install on multiple devices at a time. It also allows the administrator to modify and monitor the security system on the endpoint devices from the main console. Comodo Advanced Endpoint Protection does not just keep your computer secure, it also provides credible patches for the operating system when necessary so that the computer performs efficiently. It notifies you when a patch update is available online. With Comodo Advanced Endpoint Protection you avoid the trap of hackers and paying the ransom just to gain access on your files again. It’s better to have Comodo AEP now than put your computer at risk. Download Comodo Advanced Endpoint Protection now for free!